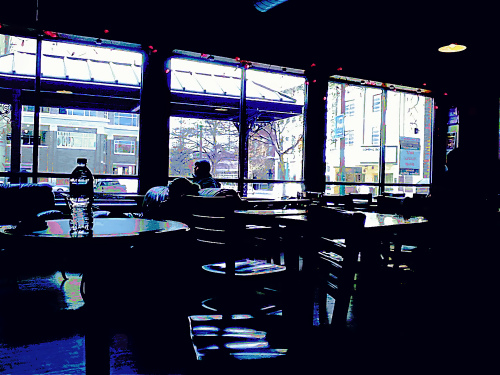 Today’s art is a digital painting based on a cell phone photo snapped Saturday while waiting for friends to hang out at Capitol Roasters. The cold and snow outside was alleviated by the hot chocolate and good company inside. Click to see a larger image.